Last week’s release of the College Sustainability Report Card 2009 raises an important question: What does it mean for higher education to adopt sustainability as a core financial strategy? As Andrea Putman and I discuss in our forthcoming book, Boldly Sustainable: Hope and Opportunity for Higher Education in the Age of Climate Change, a commitment to sustainability can both maximize the upside benefits and minimize the downside risks. It can lead to a more efficient use of limited resources, higher productivity, the development of distributed leadership on campus, greater collaboration across organizational silos, strengthened trust with external stakeholders, and an enhanced brand value that makes it easier to recruit outstanding students, faculty, and staff and retain them, all of which can produce a significant competitive advantage for the institution. Just as important, adopting sustainability as a core financial strategy means implementing a broader approach to investment. Higher education, if it intends to take its own long-term sustainability seriously, needs to focus on how increases in endowment spending can improve the well being of society and the environment. It’s pretty simple, actually. Colleges and universities can only thrive if society and the biosphere are healthy. Any college or university that is so shortsighted as to pursue its ends without taking into account the interests of the larger community or ecosystem in which it is enmeshed will not thrive over the long haul. In the end, it will find itself forced, one way or the other, to deal with the fact that its future is inextricably linked to that of the larger web of social and ecological relations in which it is embedded. 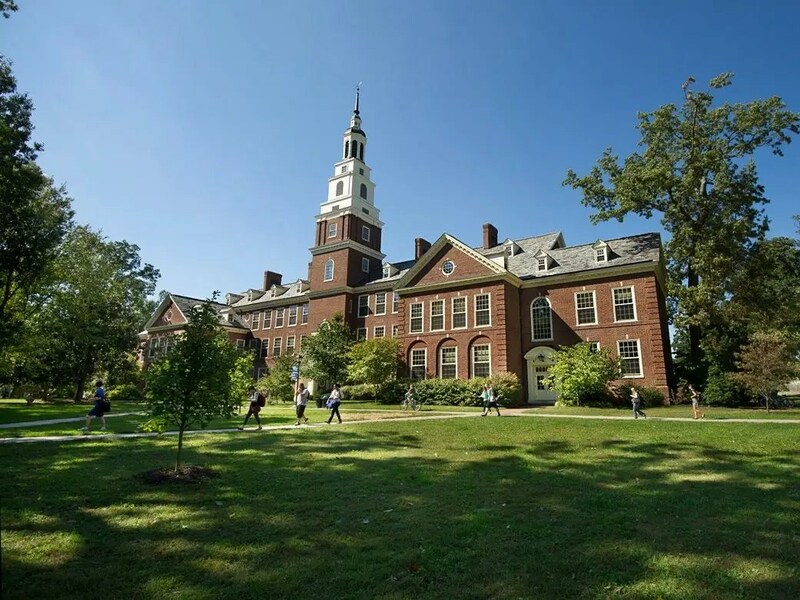 It is recognition of this interdependence, for example, that has driven Yale University to invest in the city of New Haven and Berea College to invest in the people and land of the Appalachian South. College and university endowments, worth hundreds of billions of dollars, could be a powerful force for social and environmental good even as these institutions pursue their own self interest. Yet only 35% of the institutions surveyed in the College Sustainability Report Card 2009 invest in renewable energy and only 10% in community development funds. If a healthy future is to be evenly distributed, higher education institutions must embrace a larger understanding of their mission and not confine themselves simply to growing their endowments while the communities around them come unraveled and the rapid degradation of the environment continues unabated. One of the best ways that universities can have a positive effect on the environment and local economy is for them to set aside a certain proportion of their endowments to use as a revolving loan fund for cities and towns to use in communitywide energy efficiency retrofits. These loans have the potential for returns on investment as good as anything in the financial markets today. Of course, considering the state of Wall Street, that’s not saying much. In making such investments, universities and colleges not only can help reduce the carbon footprint of the community, but also keep dollars from flowing out of the community and into the pockets of the utility companies. These dollars will recirculate in the community, increasing spending and indirectly contributing to the creation of new jobs. And, as Van Jones points out, investments in energy efficiency and renewable energy also directly create new green collar jobs that can provide much needed economic stability during even the toughest of recessions. Given the latest economic forecasts, it’s an idea worth considering.